Iyengar yoga ( developed by B.K:S. Iyengar) is a form of Hatha yoga. 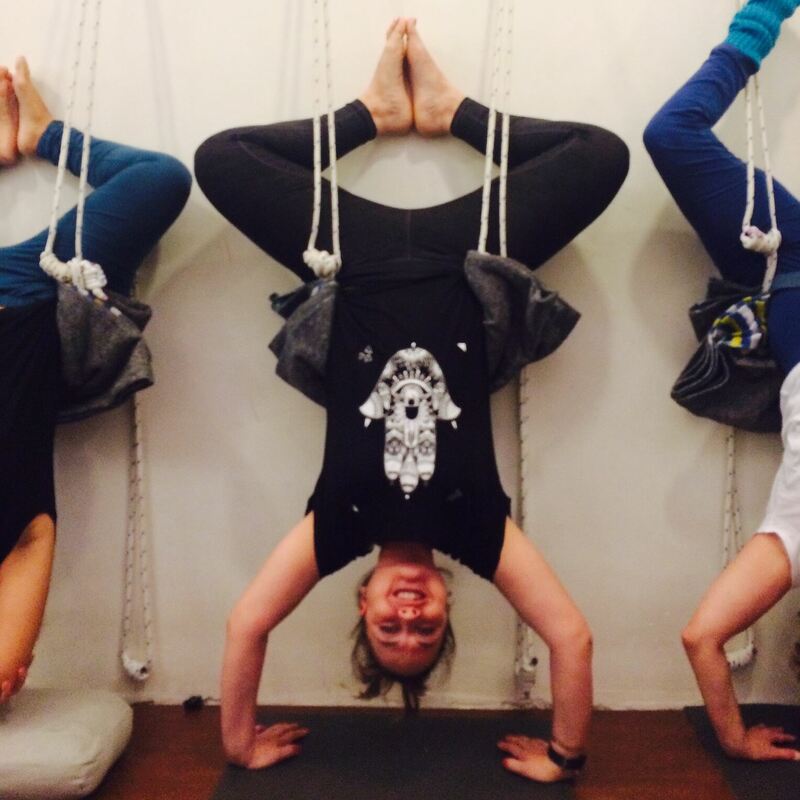 If you’re looking to raise your heartbeat during a yoga class – this is not the one for you. It’s all about the details and precise alignment and breath control, you’ll stay for several minutes in one asana ( posture) mostly giving you a really good, very deep stretch. Mobility, strengths, flexibility – that’s what it’s all about. For us living with MS it’s very important to stay active but also to calm down our central nervous system in order to feel comfortable in our bodies. Iyengar yoga makes use of a lot of props if necessary to make sure EVERYONE can practice and benefit from the session, no matter how much you’re (still) able to do by yourself. I’ve seen it during the workshop, it’s unbelievable and the feedback was fantastic. If you’re thinking about trying out Iyengar yoga and you have any kind of disease or disability, please make sure the studio also offers medical/ therapy classes as they’ll have special teachers ( it takes many years to become a medical Iyengar teacher) who know how to support you and your needs best. Thank you Garth, Hidde, iYoga team and all supportive teachers for this great workshop, I’ll be back next year!